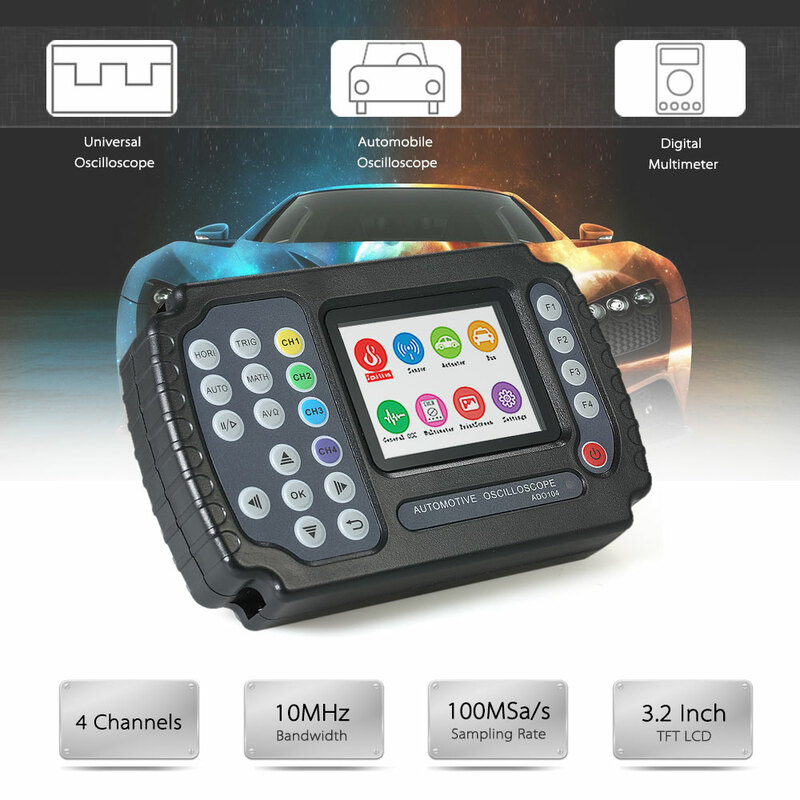 1.combined universal oscilloscope, automobile oscilloscope and digital multimeter in one. 3. This product is compact, portable, and flexible operation; Using color TFTLCD and pop-up menus to display; to achieve its ease of use, greatly improving the user productivity. 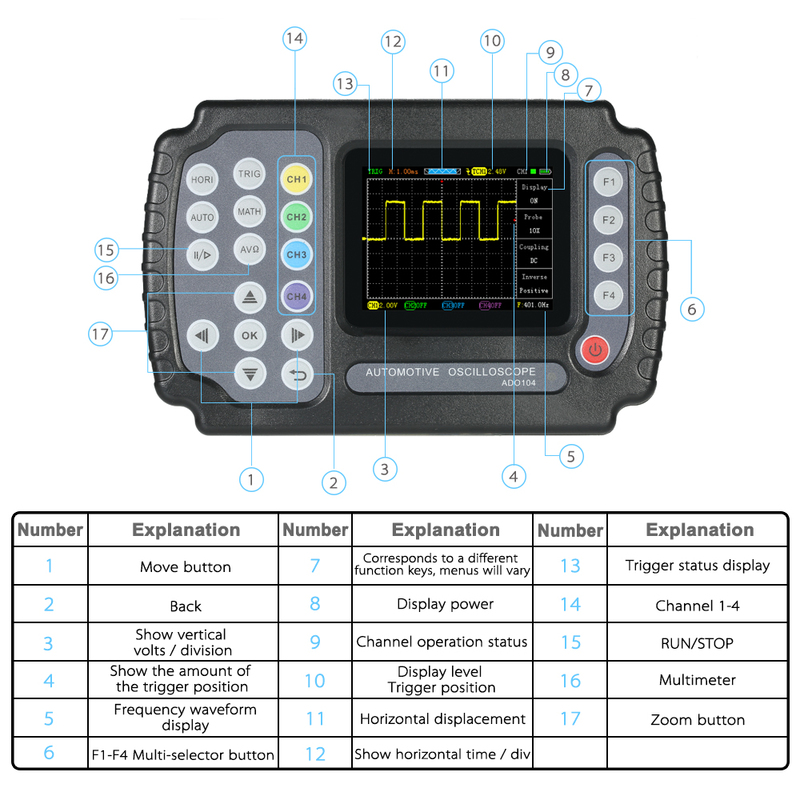 4.Attention: Do not using this oscilloscope (or multimeter) measurements while connecting USB, as this may damage the instrument! 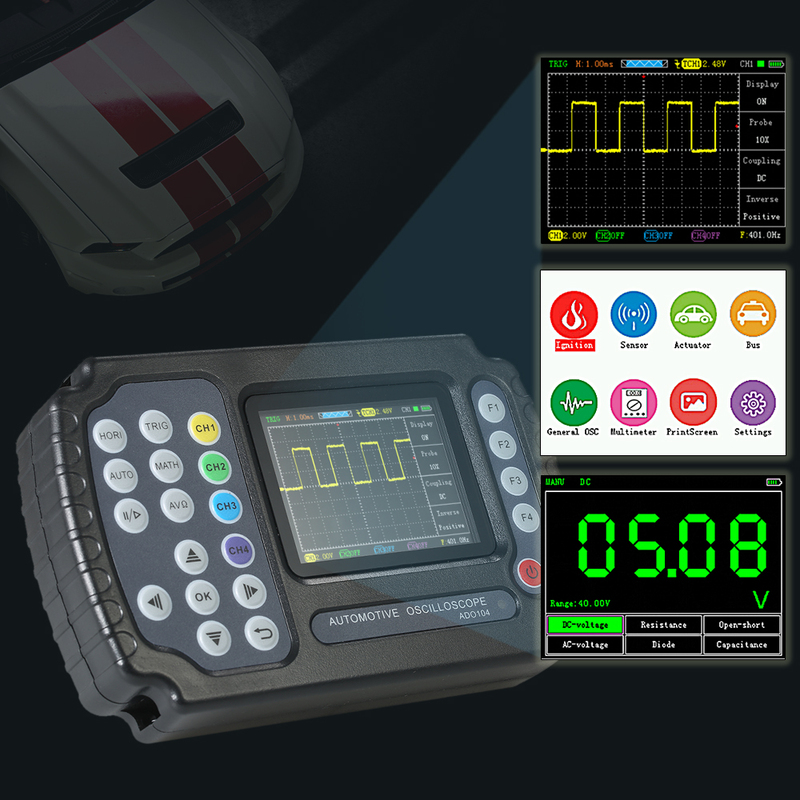 Combined universal oscilloscope, automobile oscilloscope and digital multimeter in one. ADO104 for 4 channels, 100MSa/s sampling rate and 10MHz bandwidth. Convenient and fast to realize one-button operation for the corresponding module of car. Any interface screen capture(press F2) and can preview. Data storage with USB interface, 4K storage depth. 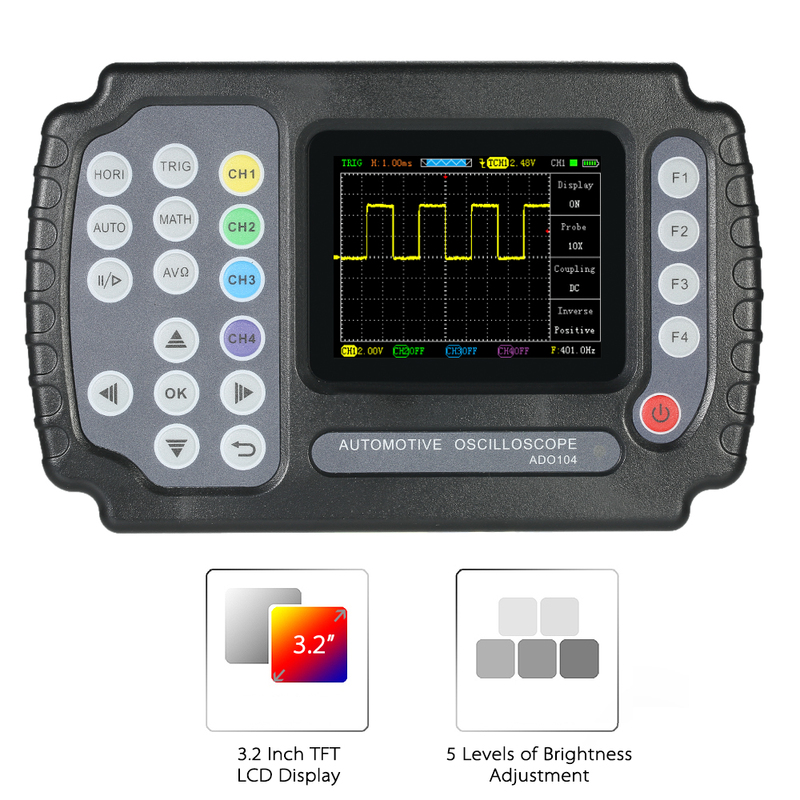 With edge trigger function, can automatically detect 20Hz-10MHz under universal oscilloscope mode. Support time and voltage cursors. Mathematical sum function of a variety of waveforms. A variety of display styles, 5 levels of backlight brightness can be adjusted. 3.2 inch TFT LCD display with 320*240 pixels resolution, easy and clear for reading. New ultra-thin design, small size, light weight, convenient for carrying. The battery is not included, please in kind prevail.